Quaintise created a medical marketing plan that involved full page ad concept development, art direction and execution. 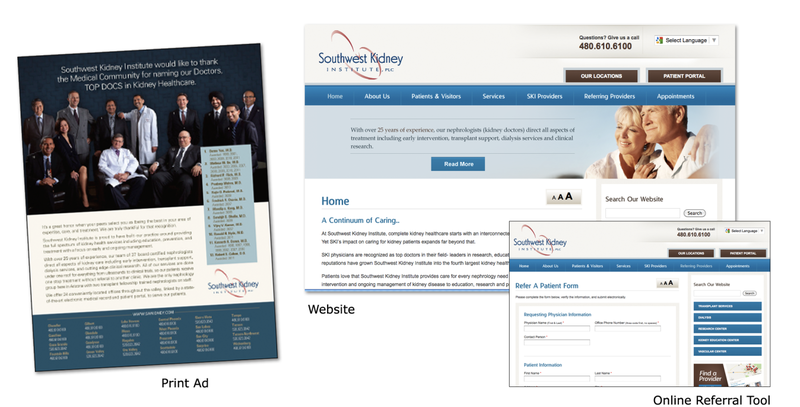 As a result, we increased the Southwest Kidney Institute’s brand awareness over 25%, and increased their overall revenue by 15%. Southwest Kidney Institute (SKI) was established 25 years ago when a group of physicians came together to improve the experience of kidney healthcare for their patients. Today the SKI Family of nephrologists has grown to 35 physicians and has become the third largest kidney health practice in the country, dedicated to providing exceptional kidney care through its 27 offices that serve Phoenix, Tucson and Northern Arizona, with each office linked by a state of the art electronic medical record system and patient portal. This is the only nephrology group here in Arizona with two transplant fellowship trained nephrologists on staff. And twelve of their physicians have been named “Top Docs” in kidney healthcare by the Arizona Medical Community. Several are multi-year honorees. SKI’s main competition for referrals and leadership in its category has grown to 80+ physicians. 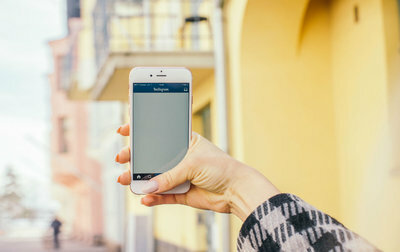 Current and potential referral sources, patients, influencers, SKI staff and the media have very limited understanding of the category leadership, expertise, benefits and advantages SKI offers. or name awareness among its most important audiences. What SKI is; what it stands for, and how all of its offices work together, is not widely known or is misunderstood. Quaintise performed a brand audit that revealed SKI needed an integrated marketing plan that clearly communicates who and what SKI is; underlined its mission, its importance, its services and its value principles, as well as defined how its leadership and family of doctors, staff and offices all work together to make a real difference in kidney healthcare. We determined that this effort must enjoin all the offices into one remarkable practice group and position SKI as the go-to leader to whom medical practitioners should refer their patients. The ads we created, developed, and executed for SKI increased their brand awareness over 25%. The Marketing Toolkit that was delivered to new physicians helped increase their overall revenue by 15%.